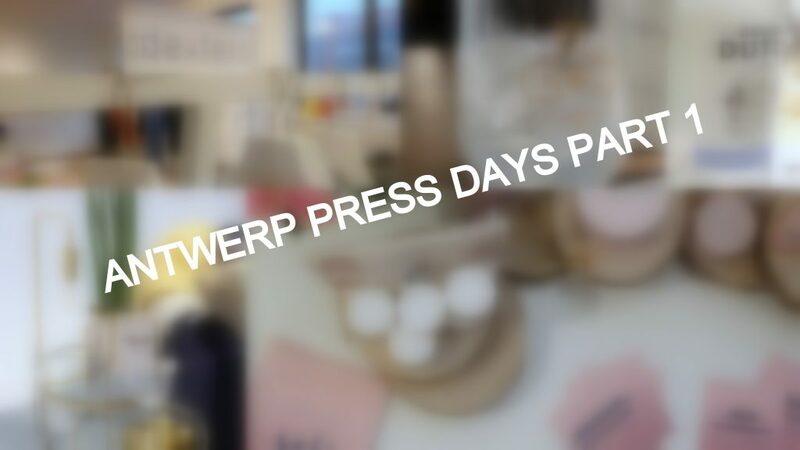 Last week I got the chance to go to the Antwerp press days on November 16th and 17th. On these days, the PR agencies will show the new collection, present new brands and give us an insight in a lot of things. Since I wanted to go to every single agency that invited me, I took those two days off at work and pasted them to my free birthday weekend. It was the first time I received an invitation and I was absolutely stunned that I even got one! I’m really into blogging since September so that’s about 3 months. I’m extremely thankful that I can be part of the club now. I made this little blog post full of pictures to show you how the first day of the press days went. I saw these days as pre-birthday fun and of course, Tessa was my partner in crime. On day one we planned to visit 5 PR agencies but we had to stick to 4 due to time problems. To start the first day, we visited Maison PR and MOJO Antwerp who collaborated for this event. I was pretty curious to see how press days worked so I was extra nervous to enter this one. When I received the invitation I was excited because I saw a lot of amazing brand displayed on the invitation. Beauty, food, fashion, it was all there. From amazing sunglasses from to the newest watches by the Fossil Group (my favorite was the gold smartwatch by Michael Kors). I also got to know this amazing new brand called Voya, an Irish natural beauty brand made entirely out of seaweed. They just opened their first bath house in Turnhout and I cannot wait to try that out! The products smell amazing. I felt so calm and happy after smelling them. Further I saw the new collection by Tania Dexters, Triumph, Escada, maison lab and more. Keds was also present and boy oh boy how I fell in love with their SS 17 collection. Oh and there was popcorn by Jimmy’s!!! As a huge popcorn addict this just made the first part of the day since my train got delayed and we walked throughout the pouring rain? Haha what we do to go to the press days! They let us taste their new flavors (my favorites are white and milk chocolate, caramel coconut and Greek yogurt) and presented us their newest small popcorn bags as the ideal healthy snack. You can get the little bags in Salt, Sweet and Caramel. Our second visit of the day was perfectly timed. I think I got an email two to three days before the press days started. Global PR is currently renovating so they didn’t have a space to organize the press days. As an alternative they organised a lunch break for the bloggers, YouTubers and press. Wow, I this idea was perfect and I cannot thank Global Image enough for this amazing break. We had lunch in one of my favorite spots in Antwerp: Flanêur. I wrote an entire post about this restaurant so don’t be afraid to go and read it! We could chose between 12 – 13 or 14 h and got to pick one of the three amazing spaghetti’s. We started of with a delicious gin tonic by a new Belgian (Antwerp based) brand called HenTho. Just what we needed to blow of some steam on the first day since everything regarding the press days is very hectic ( but so so so much fun!). Apart from the workshop there was a huge collection of clothing, lifestyle and even food. 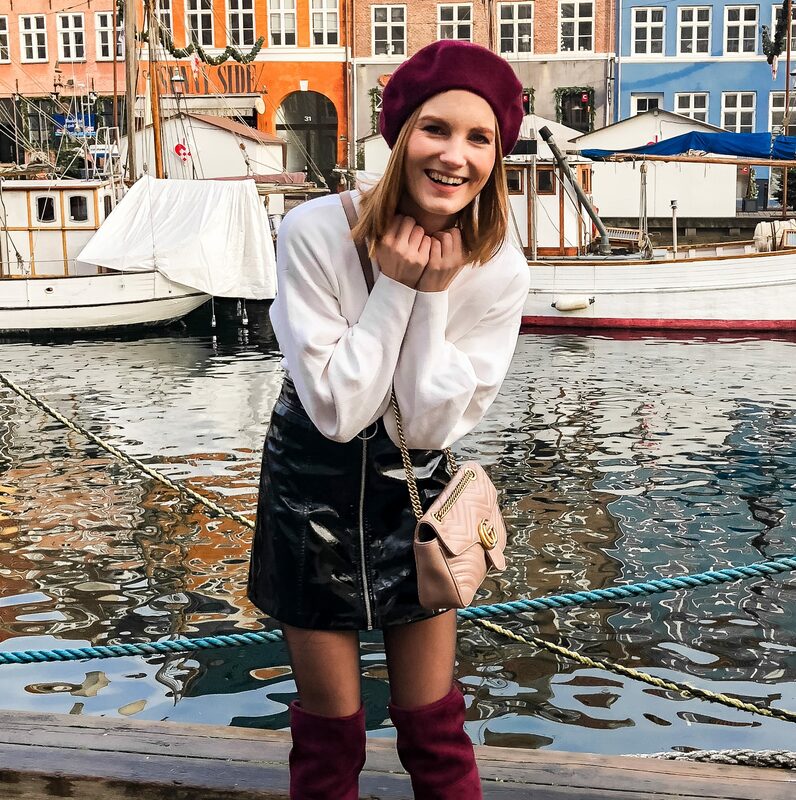 The brands they work with are often Scandinavian or Belgian. We got to look into the new SS 17 collections of Esprit, Morobe Shoes (oh and that red pair though), Drykorn, Samsoe, Minimum and so on. I couldn’t take a picture of everything because it was a bit too crowded sometimes within those tiny spaces. Sissy-Boy, pretty Sissy-Boy. If you don’t know the brand, don’t be ashamed! I didn’t either until 2 months ago or so. They displayed an entire living room, which I adored of course. Next up was Heritage, a Belgian brand putting other less known or forgotten Belgian brands back into the spotlight going from design to food. I especially remembered chocolate and ginger cookies (whoop whoop). Food was also present, very highly sophisticated food actually. Not your daily dose of food but fancy little meals. We got to eat a meringue with coriander and sesame. There was something else involved too but I forgot about that, hahaha. To end off our first day at the press days, we visited the cruelty free press days organized by Appetree, Comprendo, Burococo and O’Sérieux. The entire event was marked by cruelty free fashion, beauty, food and more. When we entered the ‘showroom’, The Mocktail club was present and happy to give us one of their amazing mocktails. I chose for the Raspberry & Lavender one. It was so fresh and delicious! I need to have more. I also spotted Madame Bakster outside. Such a shame I couldn’t eat anything since I was still stuffed with spaghetti (whoops). On the inside there where A LOT of brands. I saw some perfumes, Sally Hanssen nail polish, Bourjois makeup products but also Natural Self. If you guys are following me for some time you know Self is one of my favorite skincare brands ever made. I made an entire review about their day cream. Further I found the amazing homemade granola by Xavies. If you haven’t tried it, It’s definitely a must. Last year when I did my #ChristmasEve giveaway I added a package of Xavies granovie. I only give away things I love myself so, nothing more to say about it. Apart from Self there where a lot of beauty brands present such as Babor, Nannic and Imwe. I was very surprised by Nannic. This belgian skincare brand developed a sunscreen spray that you can apply above your makeup. I mean, how amazing is this for our beauty loving self? Yoga by Julz, one of my favorite Belgian active wear brands had it’s own little place on the cruelty free press days. Apart from this there where some cool new Belgian designer brands displayed and gorgeous jewelry. This was day one of the press day adventure. It was a very busy day but I’ve met some great people, saw some friend bloggers again. As a first timer I was impressed by everything that I saw. Thank you to the agencies for inviting me to these ‘open days’. Lot’s of love and thank you for reading this post. HEALTHY PANCAKES, THIS WAY PLEASE!